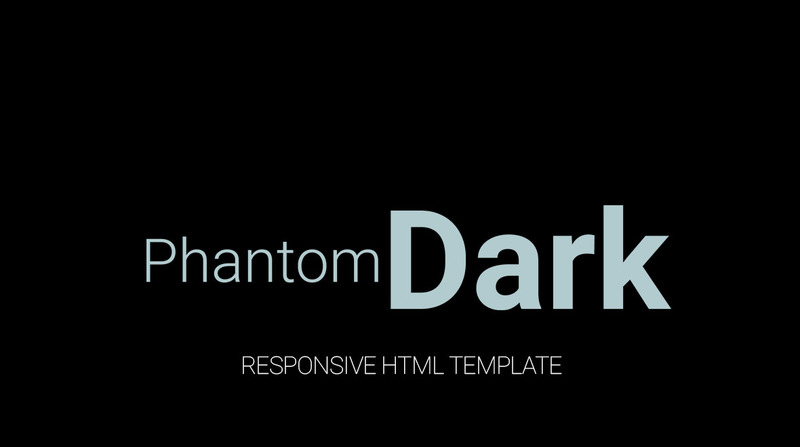 PhantomDark is a Multi-purpose HTML Responsive template. With an all- black and aqua blue color scheme its hard for the visitors to not notice the richness and elegance of the content. With svg animations all over you will making an impression on your visitors! Here is the Full screen Preview of the Website.